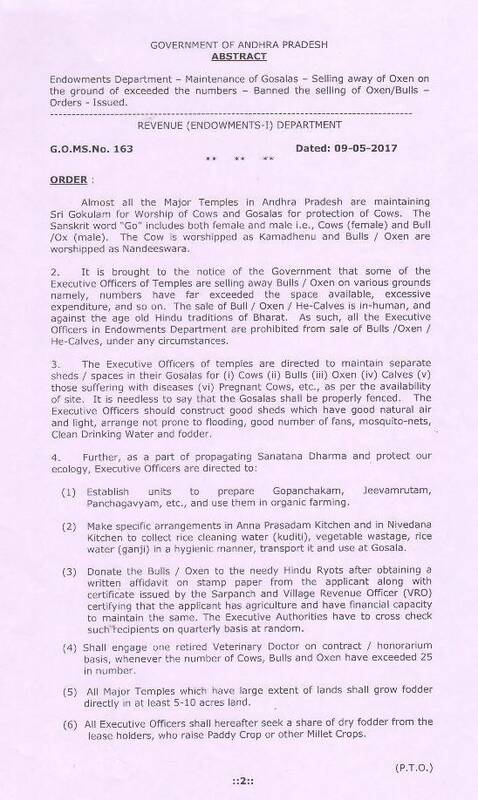 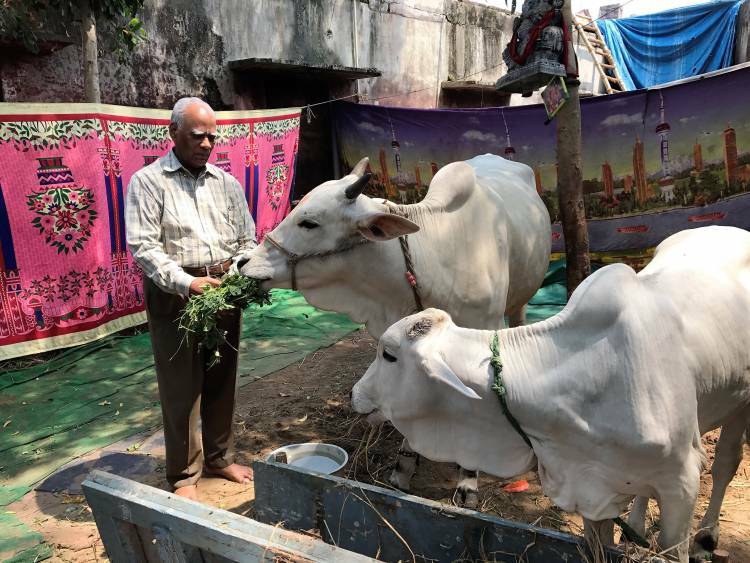 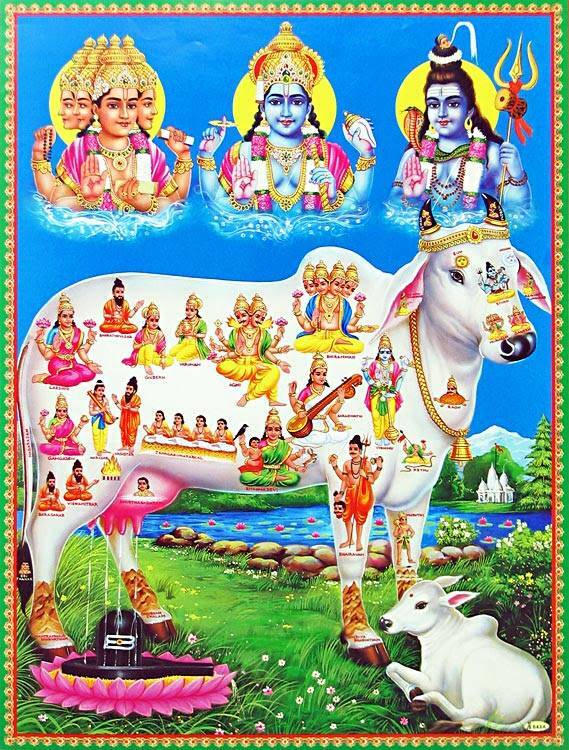 As per the GO, “The Executive Officers of temples are directed to maintain separate sheds/spaces in their Goshalas for (i) cows (ii) Bulls (iii) Oxen (iv) Calves (v) those suffering with diseases (vi) pregnant cows, etc ., as per the availability of site.” Goshalas are also required to be fenced. 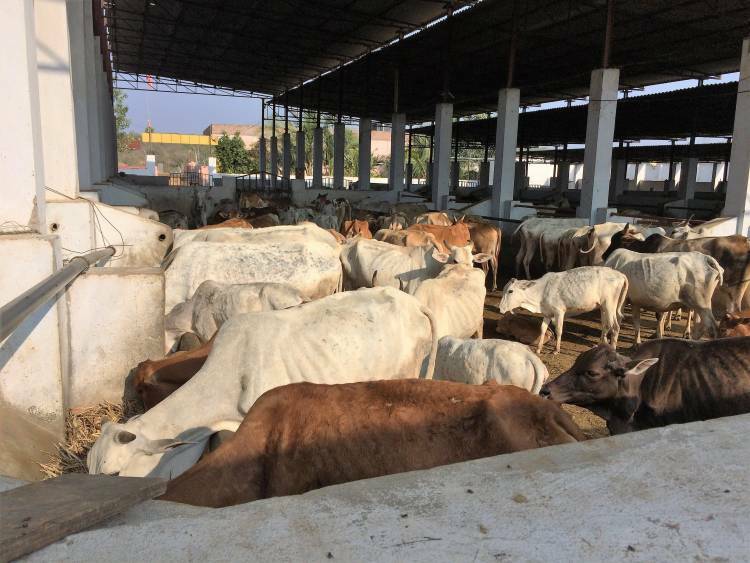 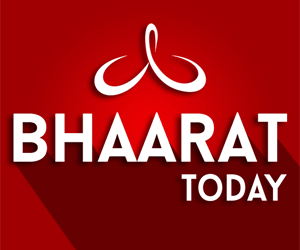 The Executive officers are also required to: 1) Establish units to prepare Gopanchakam, Jeevamrutam, Panchagavyas, etc., and us them in organic farming; 2) make special arrangements in Anna Prasadam kitchens; 3) donate Bulls/cows to nearby farmers with an affidavit to protect them; 4) engage one retired veterinarian to take care of the cows; 5) grow fodder in at least 5-6 acres of land and others. 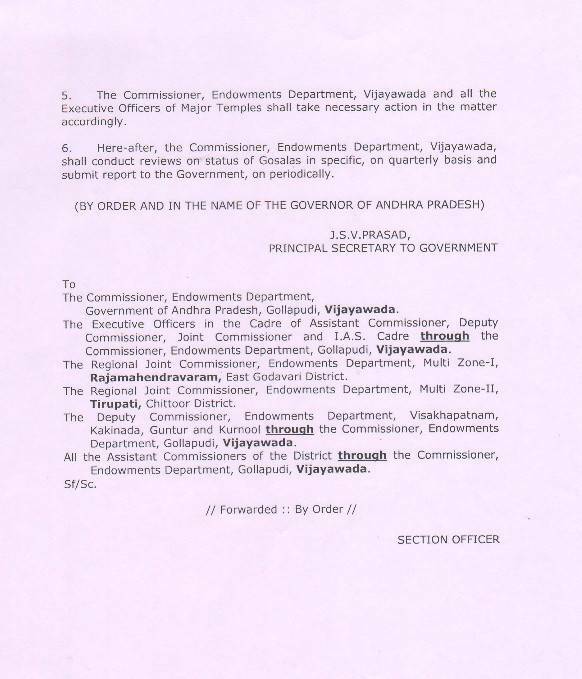 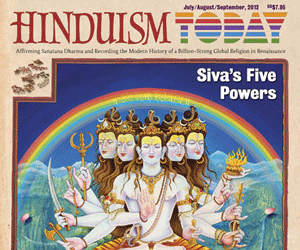 The GO also mandate the Commissioner of Endowments to conduct reviews of Goshalas on a quarterly basis.